I turned the page and "POW" it's Fall! It is time for Pumpkin Spice everything! 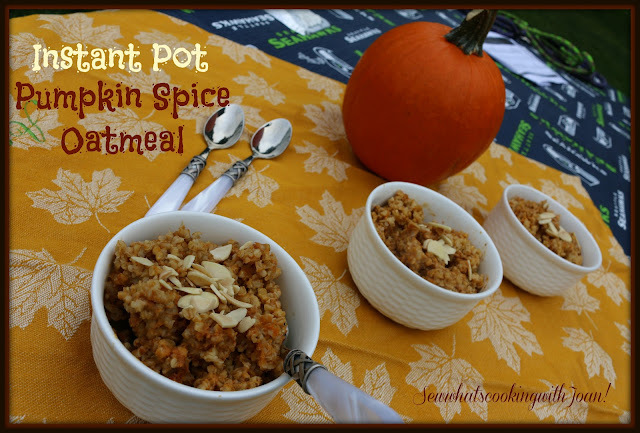 It is time for Pumpkin Spice lattes, Pumpkin Cinnamon Streusel Muffins, Pumpkin Pancakes, Pumpkin Ravioli's and Pumpkin Bread....which is what prompted me to make this delicious Pumpkin Spice Oatmeal. I have a can of pumpkin puree and a carton of almond milk and a grandson who I am constantly trying out a new recipe on! 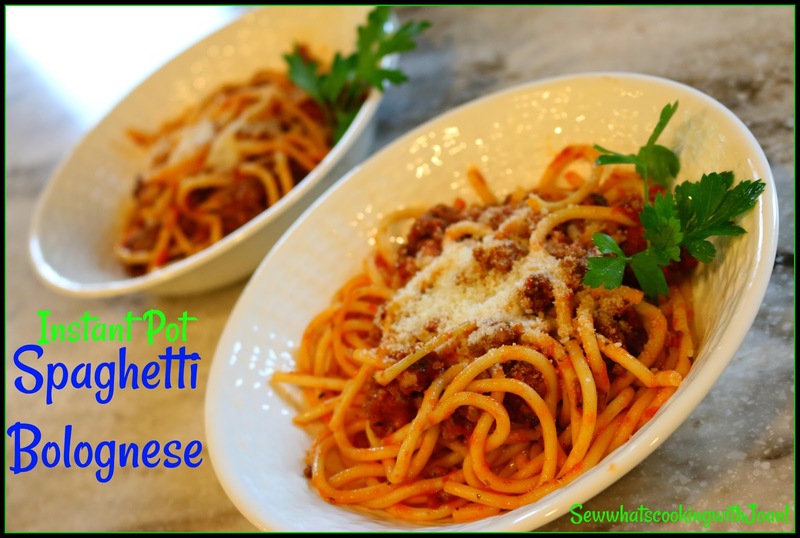 This Instant Pot Spaghetti Bolognese is perfect if you have busy weeknights where you come home late and find a hungry mate and kiddo's! 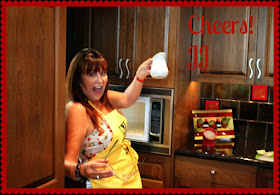 My friend and golfing bud, Cindy made the most delicious cobbler for our annual Seafair Party in August. Everyone raved about it... begging for the recipe. I was able to get it to share with the world. This is 15 minutes prep time and 40 minutes of baking. One of my favorite things about the cuisine in the Pacific Northwest is Manilla clams.....everyone who knows me, knows I love Manilla clams! 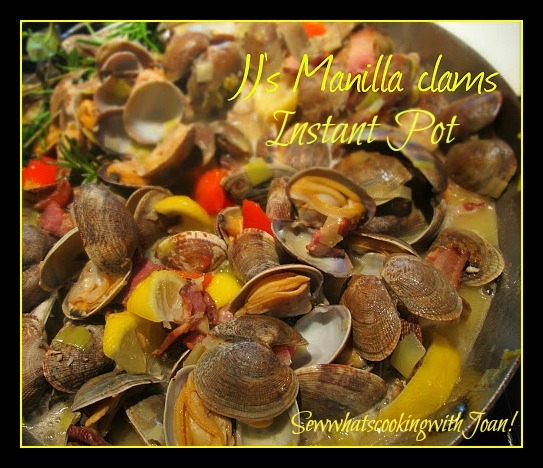 Did you know you don’t have to go to Manila to get manila clams? We have them right here!! Shellfish are a very healthy choice. Clams are low in fat, high in protein and omega-3 fatty acids. 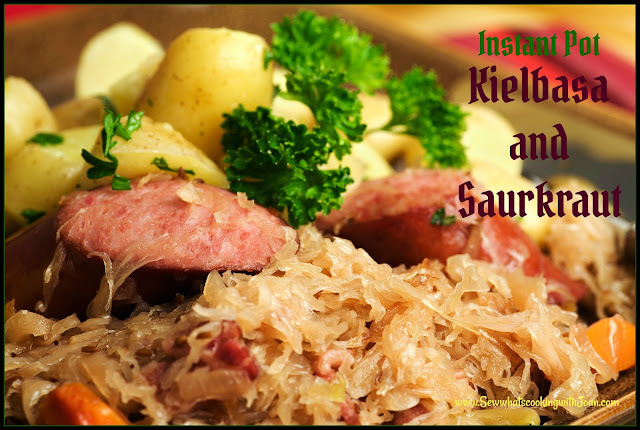 They are also a rich source of potassium, and a very good source of Protein, and if you are watching the waistline, pretty low in calories. Mussels are much the same and very high in iron, but, have a different flavor than Manilla clams. These ribs are so tender and juicy....you don't even need teeth to eat these!! 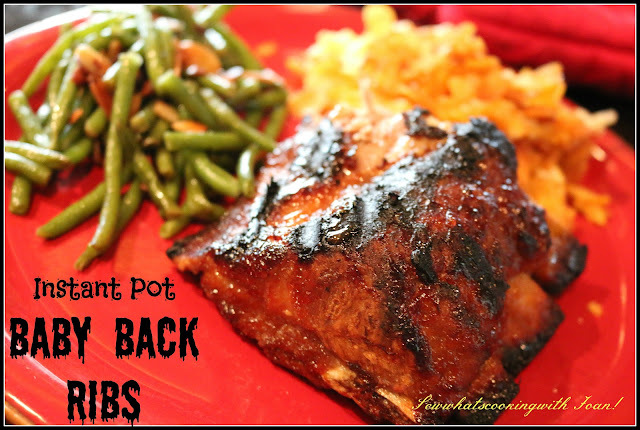 The "Instant Pot" ribs are the game changer! I thought my boiling them for 2 hours was awesome, however, I often wondered if I was boiling the nutrition right out of them! I was a bit skeptical that these IP ribs would be as tender..... no worries folks, these are fall off the bone tender!! Today I am giving you a easy recipe for homemade strawberry rhubarb sauce or compote made with strawberries, rhubarb, lemon juice, sugar and water. 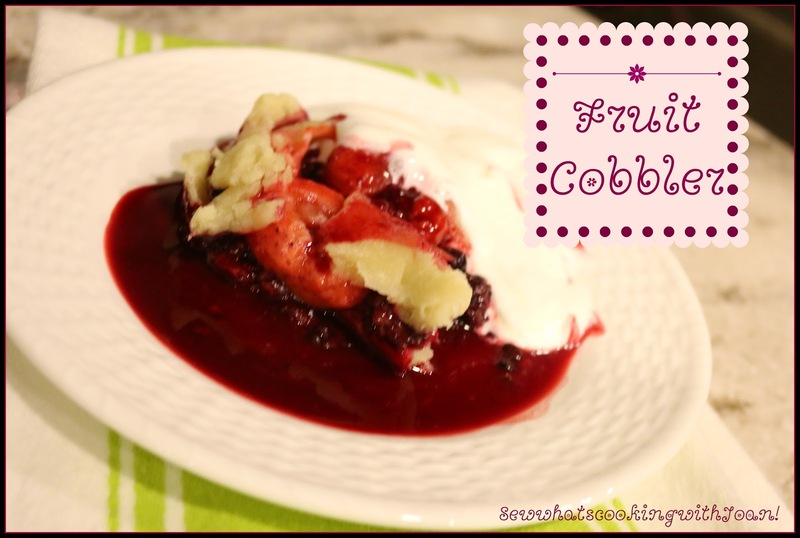 I had some strawberries and rhubarb leftover from some delicious Strawberry Rhubarb pies in a mason jar I recently made, and decided that the best way to use them was to make a quick and delicious Instant Pot strawberry rhubarb sauce that could be used as a topping for pancakes, crepes, or waffles. 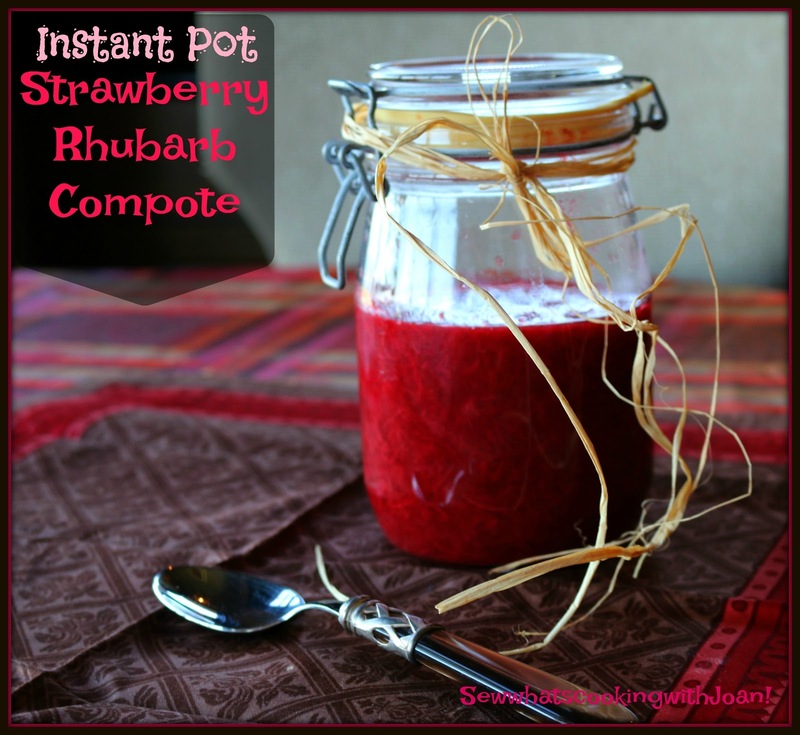 Fresh fruit sauces or compotes are so easy to make in the Instant Pot, and as I’ve probably mentioned before, since you make it yourself you can control how much sugar is added to the sauce – and trust me, you need a lot less than is usually included in the store bought fruit sauces or jams. You can also substitute the sugar with honey or other natural sweeteners. This strawberry rhubarb sauce is also a great topping for desserts like ice cream, custards, pannacotta, and even cakes. The sauce can be served warm or cold.